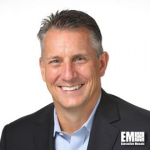 William Welch, formerly president and chief operating officer of Duo Security, has been named co-CEO of IronNet Cybersecurity. He will serve in the role alongside retired U.S. Army Gen. Keith Alexander and help drive IronNet’s commercial efforts to expand operations worldwide, the company said Monday. Welch previously held senior leadership roles at Zscaler, HP, Symantec (Nasdaq: SYMC) and Oracle (NYSEL ORCL). “Bill’s proven track record of delivering products and accelerating growth at scale for a number of highly reputable public and private technology companies is exactly what IronNet needs in accelerating to our next stage of growth,” said Alexander, founder, chairman and co-CEO of IronNet. Fulton, Md.-based IronNet has raised more than $110M during two venture funding rounds, including a $78M Series B investment from multiple investors in May of last year. The company’s IronDome cyber defense platform is designed to help customers analyze and exchange information about cyber events in real time.